Listed below are sites of some good clowns and organizations who would be ashamed of Bobo! 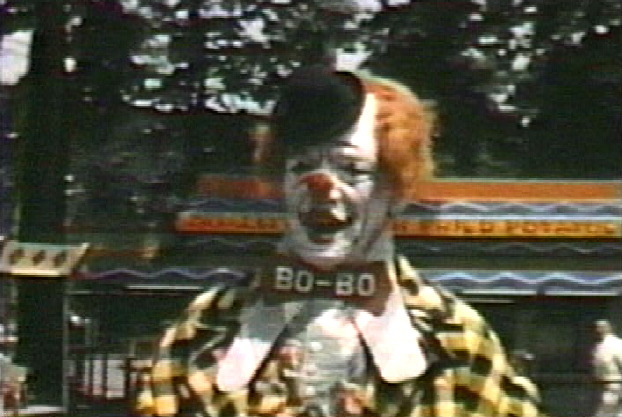 Also, there are some other "Bobo" sites which are in no way affiliated with Bobo World, a recovery center for the clown-abused, a tricky math problem, and links to some people who really hate clowns! Clowns Of America International - The international order of clowns, dedicated to bringing joy and laughter to the world! International Clown Hall Of Fame - See many of your favorite clowns here, like Emmett Kelly! 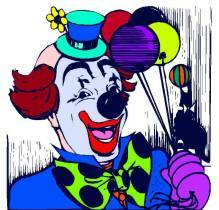 Also, some links to other clown websites. Shakes The Clown - The Unofficial - er - rather, ONLY "Shakes The Clown" website! If you haven't seen this hilarious movie starring Bobcat Goldthwait as Shakes, run out and rent it today! The No Clown Zone - The official site for people who are afraid of, or just plain hate, clowns. Clownz.com - The current incarnation of the former "Clowns are Evil Incarnate: The Anti-Clown Site." Clownophobics Home Page - The 12-step program: Get on the road to recovery from your fear of clowns... or go out of your mind trying! Beware: Enter this site at your own risk! You have been warned! The Case of the Crushed Clown - Mr. Rasterdly knew... because he was there... THE DAY THAT BOBO DIED! This is for you calculus students out there. Bobo - A very scary story about a clown named... Bobo! Bobo Novakoviæ - Looks like Bobo's web page has been taken down. Oh, well. We can only hope that he got a date! Hey, a guy named Bobo can't be all bad! Polymorph Want A Cracker? - This is a pretty weird site about a variety of things, among those, a Space Commander Clown page. But check out the other pages first, like Obscurenobilia, a list of real-life strange happenings, and Gumhead and Fishguy! New at Polymorph: Tripeman! BADCLOWN NEW!!! I thought "Killer Clowns From Outer Space" was scary, but this web site is even creepier! Some of the scariest clowns I've ever seen! YIKES! LEMME OUTTA HERE!!!!! Strange Breed Cartoons - Not a clown or a Bobo site, but a very funny site nonetheless by Steve Langille. Treat yourself to some clever one-panel cartoons that will remind you a bit of "The Far Side". Ranch On Mars - The Official Galactic Cowboys web site! A Place In Cyberspace - Galactic Cowboys Never Age! 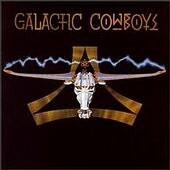 - Let's not forget about my very own Galactic Cowboys web site! Jeffrey Zeldman Presents - Entertainment, free graphics, and web design tips since 1995. Woo-ha! Thanks for this great clown background, Jeffrey!